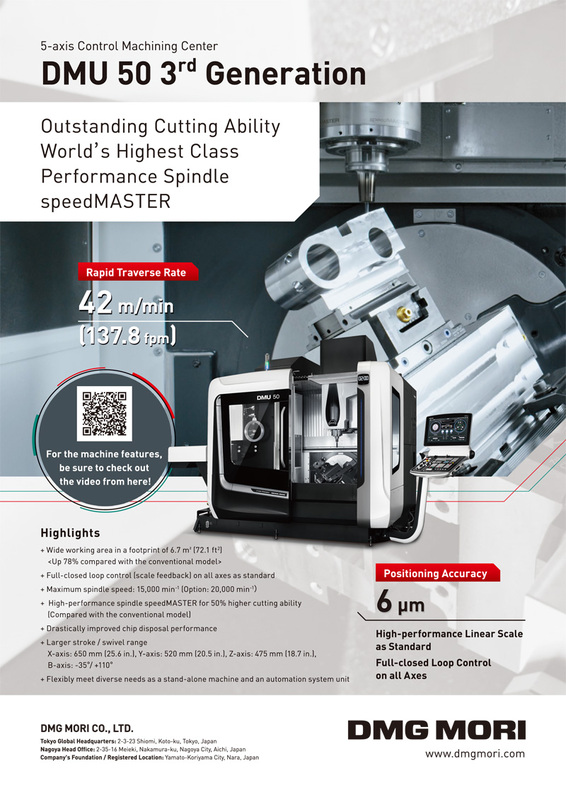 To improve surface roughness, machining efficiency, and accuracy of a workpiece, measuring the roughness and contours of a cutting tool edge is crucial. However, it has not been easy for a contact stylus or non-contact methods to measure the roughness and contours of a sharp edge for two reasons: doing so damages the contact stylus and steep angles produce poor reflected rays for the non-contact method. A point autofocus probe (PAP) is widely used for the roughness and contour measurements of various precision machining surfaces. The authors have developed a new method of measuring a cutting tool edge, a method using PAP with three-axis liner stages and a rotary stage. In this study, a cutting tool edge for micro-fabrication was precisely measured, and the roughness relationships of the cutting tool edge and workpiece surface were quantitatively evaluated. K. Miura, A. Nose, H. Suzuki, and M. Okada, “Cutting Tool Edge and Textured Surface Measurements with a Point Autofocus Probe,” Int. J. Automation Technol., Vol.11, No.5, pp. 761-765, 2017. K. Maruno, M. Michihata, Y. Mizutani, and Y. Takaya, “Fundamental Study on Novel On-Machne Measurement Method of a Cutting Tool Edge Profile with a Flueorescent Confocal Microscopy,” Int. J. Automation Technol., Vol.10, No.1, pp. 106-113, 2016. T. Asai, S. Ferdous, Y. Arai, Y. Yang, and W. Gao, “On-Machine Measurment of Tool Cutting Edge Profiles,” Int. J. Automation Technol., Vol.3, No.4, pp. 408-414, 2009. ISO 25178-605:2014 Geometrical product specification (GPS) – Surface texture: Areal – Part 605: Nominal characteristics of non-contact (point autofocus probe) instruments. K. Miura and A. Nose, “Point autofocus instrument,” Optical measurement of surface topography, Chapter 6, Springer, 2011. R. Leach, “Point autofocus prifiling,” Fundamental principles of engneering nanometrology, pp. 139-142, 2010. K. Miura, M. Okada, and J. Tamaki, “Three-Dimensional Measurement of Wheel Surface Topography with a Laser Beam Probe,” Advances in Abrasive Technology III, pp. 303-308, 2000. H. Suzuki, M. Okada, Y. Masuda, Y. Namba, K. Miura, S. Morita, and Y. Yamagata, “Uitraprecision cutting of nickel plated mold for X-ray mirror,” Int. J. Automation Technol., Vol.10, No.4, pp. 624-631, 2016. S. Morita, J. Guo, N. L. Yamada, N. Torikai, S. Takeda, M. Furusaka, and Y. Yamagata, “Profile measurement of a bent neutron mirror using an ultrahigh precision non-cantact measurement system with an auto focus laser probe,” Measurement Science and Technology, Vol.27, No.7, 2016. S. Morita, Y. Yamagata, and J. Guo, “High speed non-contact on-machine profile measurement for ultrahigh precision machning of large free-form optical surface,” JSAT, Vol.58, No.11, pp. 705-709, 2014. K. Miura, A. Nose, H. Suzuki, and M. Okada, “Development and practicality of a scanning point autofocus instrument for high speed areal surface texture measurement,” Advanced Materials Research, Vol.1017, pp. 675-680, 2014. ISO 25178-605:2014 Geometrical product specification (GPS) – Surface texture: Areal – Part 605: Nominal characteristics of non-contact (point autofocus probe) instruments, 3.3.7. ISO 25178-2:2012 Geometrical product specification (GPS) – Surface texture: Areal – Part 2: Terms, definitions and surface texture parameters. ISO 25178-3 2012 Geometrical product specification (GPS) – Surface texture: Areal – Part 3: Specification operators.